From 20th Oct. to 3rd Nov. The Gran Canaria Fronton King Pro is the best bodyboarding competitions in the world. In this annual competition, participate the best international riders. The Gran Canaria Bodyboarding World Cup is the best competition of the year meeting the best athlete and the incredible wave of Fronton. Considered the best bodyboarding wave in the whole world. It is located in Galdar's coast, on the island of Gran Canaria, which is a paradise for active tourism. Being of the most powerful waves in the world with both rights and lefthanders is a perfect combination that added to its maginificent reef shapeit delivers the best bodyboarding wave of the planet. Its remarcable location under lava cliffs makes it an incredible landscape where to watch the north Atlantic energy crashing to amazing coastline of Galdar. The most powerful and radical wave in Europe. Only the bravest attempt to dominate the beast. The Gran Canaria Fronton King Pro 2016 was not only consolidated as the last event of the World Tour, but was nominted with 4 stars and Grand Slam, which made the world title decided in Canarian waters. More than 100 international athletes have battled in the wave of the Fronton, in Galdar. Among them the best professional riders on the world. The greatest legends of bodyboarding have participated in the Gran Canaria Fronton King PRO. 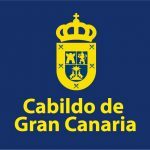 the internationalities of both the public and the participants in the past editions of the Gran Canaria Fronton Kin Pro. It has becomed the most important event and the greater media repercussion of the APB. The Gran Canaria Fronton king Pro is holding its 5th edition, and the last three as part of APB World Tour. Without doubt this event leaves a mark among the fans of the bodyboard around the world. 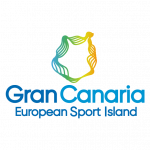 In this new multimedia section you will be able to find real time photos of the Gran Canaria Fronton King Pro event. Enter in the media section and you will see the images. The live streaming will allow you to follow each heat if you can not enjoy the event on side. If you are somewhere else in the world, do not miss it watch it live. Keep updated and learn about the news surrounding the event. We will inform you of the news through the news section of our blog. An easy way to stay up to date. to make the best bodyboard event of the world.